China is seeking to follow in Russia’s footsteps by creating a nuclear-powered icebreaker ship, and military analysts have already begun to wonder if it’s a sign Beijing is inching closer to creating a nuke-powered aircraft carrier. A Chinese document requesting bids from industry for a nuke-fueled icebreaker has spurred discussion about the development being a natural step toward the development of a nuclear-powered carrier. ​"This is China's first nuclear powered ship, which is of great significance to China's development of nuclear-powered vessels," China's Global Times reported Friday. "The ship's nuclear power unit is huge and can be applied to a nuclear-powered aircraft carrier, once updated, so it can be seen as a preparation for the aircraft carrier," the Global Times report noted. Russia's Taymyr icebreaker is powered by nuclear reactors, a technological feat reserved for the most sophisticated developers in the world. The US Navy's Nimitz- and Ford-class aircraft carriers are powered by nuclear energy, too. France's Charles de Gaulle carrier is the only non-American carrier featuring nuclear energy generation processes on board the ship. 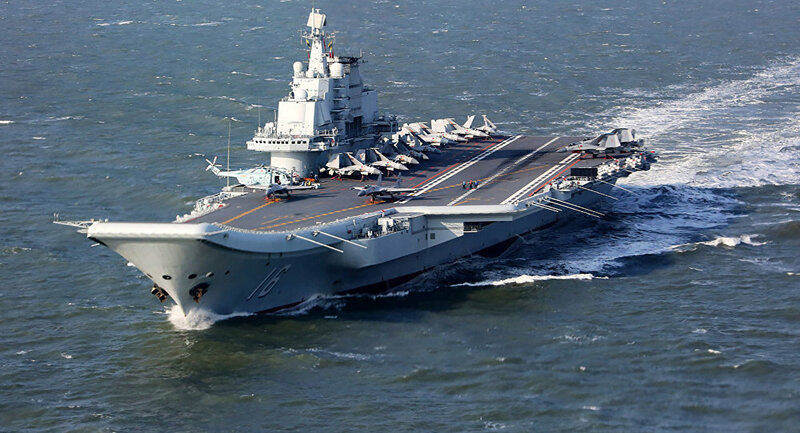 As reported by Sputnik International News in February, Beijing aims to field a nuclear-powered carrier of its own by 2025. China's ambition is to have four carrier groups operating with the People's Liberation Army-Navy by 2030. The Liaoning recently became the lead ship of the PLA-N's first combat-capable carrier strike group.